Last night our class established a virtual classroom session in Second Life. As expected, there were some issues with becoming familiar with controlling your avatar and being able to keep the group together. Trying to type in chat and keep up with 20 something students was a task. Also battling slower computers and the lag from some internet connections made this more of a test than a classroom session, but in all it was a learning experience in order to prepare for further excursions in the future. When the playing field is level, this will be a much better experience. Additionally, if everyone could use voice protocols, that would alleviate some of the task of typing. Unfortunately, being in a virtual world, that would also lend itself to people talking out of turn and on top of each other, so there must be some rules established so it doesn’t get too confusing. Second Life lacks sensory perception. I’m not only talking about the tactile, but the emotional triggers we experience from day to day in the real world. It is clear that because of the texting issue, sometimes there is a loss of the common subtleties we all take for granted in the real world. Tone of voice and body language both impart a broader sense of social interaction than just words. It is these peripheral sensations that cannot be incorporated into Second Life, so I go back again to establishing particular protocols to be engaged at the task at hand. Even major companies have protocols for emails because certain text can be misinterpreted. At one point we were just standing around waiting for class to start, it was silent and eerie at the same time once the radio was turned off. I think that is why the developers use the radio, so it doesn’t feel so cold and distant. Visually the environment was very cool (when there were not issues with rendering the surroundings). Coincidentally I am also talking about virtual interaction in my 754 class on human computer interaction and I can now clearly see where research and participant feedback can help improve the experience. I created a fantastic avatar based on the Borg from Star Trek and Edwards Scissorhands (I always liked that character… not unlike the one created in the real world, Edward needed to find different ways to communicate!). I found that most of my classmates liked my avatar, and I was able to express myself in that caricature. 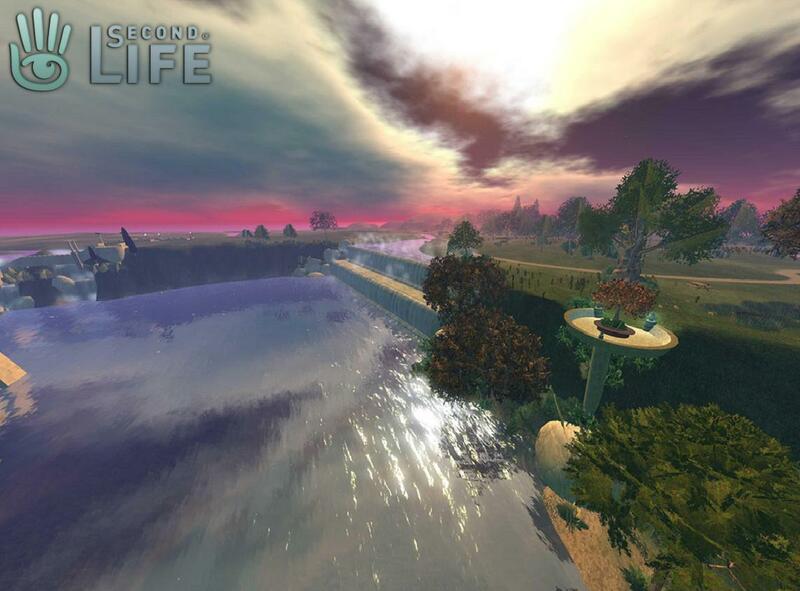 In all I need to spend more time with Second Life to become more comfortable with it. It does offer interaction with others from the comfort of home, school, laptop, etc… but it does require some thought in planning for actually using it in a practical way. I can foresee having training sessions for classes to become accustomed to working in a virtual world together. This would enhance the experience when everyone was on the same page. I am re-posting below a thought provoking research idea that is being conducted by Microsoft since it touches on some key thoughts I have discussed on Second Life an has relevancy to our class.